Louisiana rapper Boosie Badazz has yet to deliver his studio full-length Touch Down 2 Cause Hell, but he's been on a steady mixtape grind. After last year's Life After Deathrow mixtape, he's back with Every Ghetto, Every City: Vol. 1. 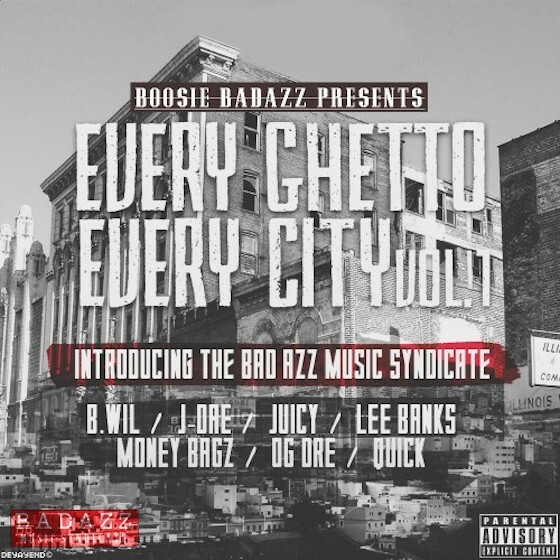 The 19-track release introduces Boosie's new crew, the Bad Azz Music Syndicate. It's not just Boosie and his buddies on the release, however — there are also some high-profile guests in 50 Cent and Migos. Listen to Every Ghetto, Every City below.